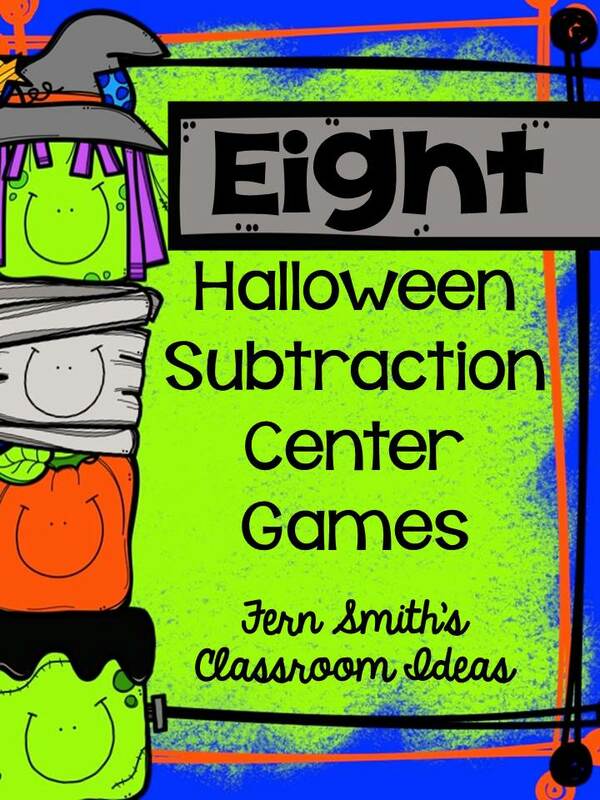 FREE Mixed Subtraction Halloween Center Game and Printables - Fern Smith's Classroom Ideas! What? What? Two Freebies in a Row? AND...it's not even Freebie Friday! I love Fall, October and just about everything Halloween related. Yesterday was my FREE Mixed Addition Center game and today is the matching Mixed Subtraction Center. 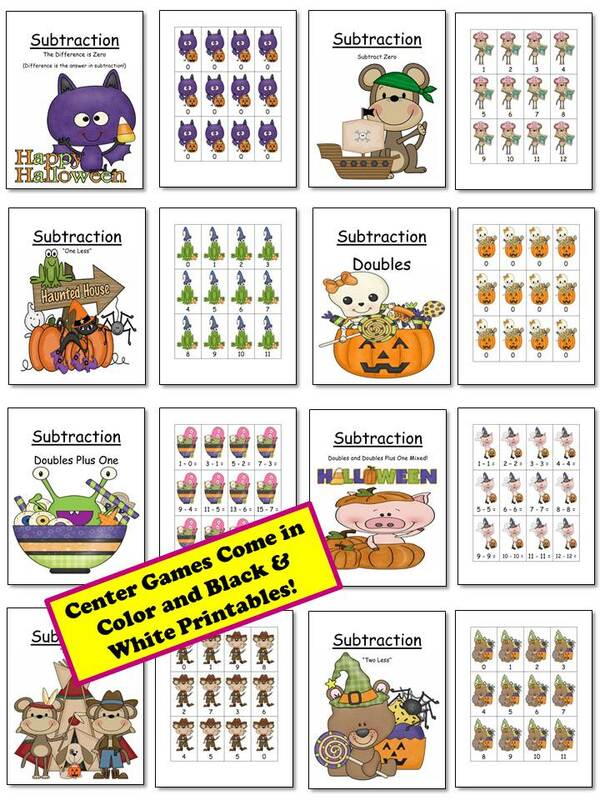 I just want to give you time to print this free center and make it...or even better, maybe a sweet, kind parent volunteer for your October fun will make it for your class! This Free Halloween Make and Take Center is available in my store at TPT. Can't celebrate Halloween at your school? Click here to see some Autumn Owl Party suggestions!